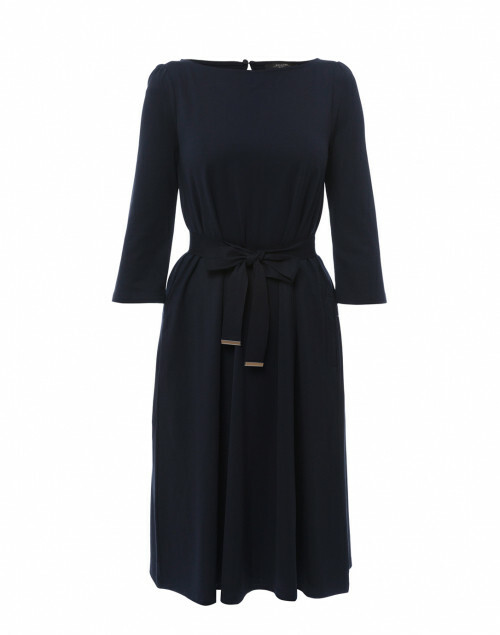 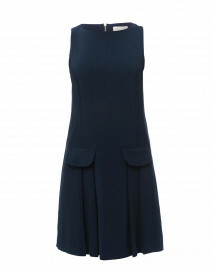 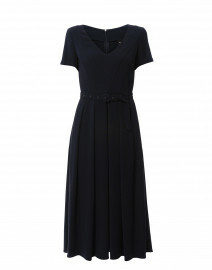 Look to Weekend Max Mara for refined wardrobe staples with a subtle, feminine spirit, like this navy Parma jersey dress. 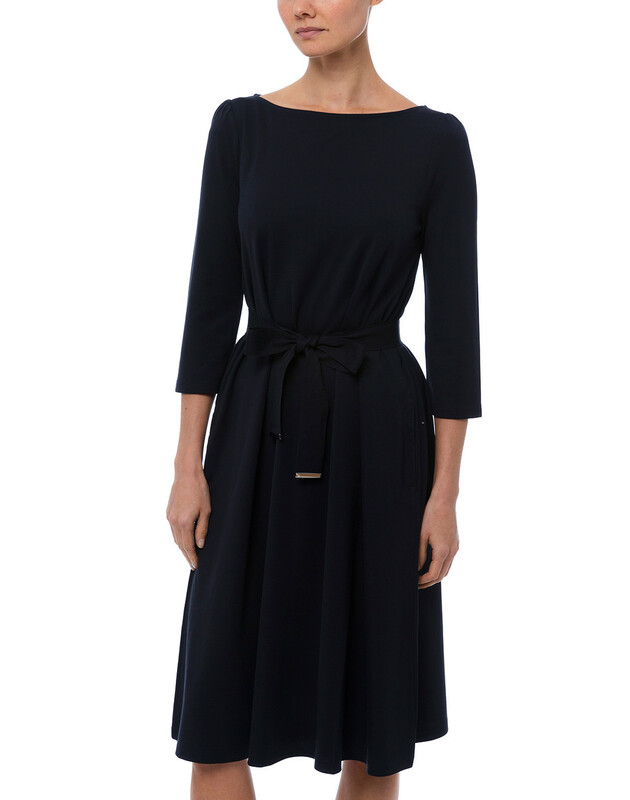 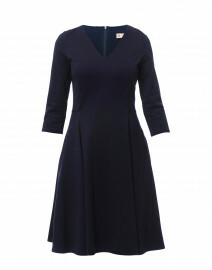 Crafted from lightweight stretchy fabric, this dress is shaped with an elegant boat neckline, 3/4 length sleeves and is finished with a waist belt to cinch the waist. 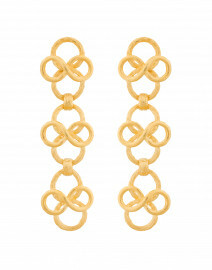 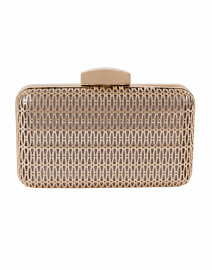 Dress it up with metallic heels and statement earrings for a feminine dinner-date look. Length 39" 40" 40.5" 40.5"
Bust 34" 38" 39" 41"
Waist 40" 46" 45" 46"
Hip 52" 55" 54" 55"
Sleeve Length 18" 18" 19" 19"